Insulation effectiveness is measured by its R-value. R-values measure insulation’s thermal resistance or how well it holds back heat. The higher the R-value, the better. An R-value is a unit of thermal resistance for a particular material or assembly of materials . The R-values depend on a solid material’s resistance to conductive heat transfer. For loose or porous material, the R-value accounts for convective and radiative heat transfer through the material. However it does not account for the radiative or convective properties of the material’s surface, which may be an important factor for some applications. Different insulation products have different R-Values as some insulation materials insulate better than others. Where you live will make a difference on which product you should choose and the total R-Value required to give you the best result. The various areas of your home require different levels of insulation which is why many products have very different R-values. It’s best to speak to a professional about your property so they can advise you on the right product to choose for your home. Before inspecting the insulation make sure that the area is safe. Read NZS 4246 – it’s free to access through EECA’s Energywise website. If a professional installer installs new insulation, ask for a certificate or similar to show that they have installed it in accordance with the RTA R-value requirements. Keep this with your maintenance files. Don’t touch foil without turning off the power at the main switchboard – but proceed with caution, as in some instances the foil may still be live – see NZECP 55 for more information. Don’t enter hot roof spaces – wait until it’s cool, and take a water bottle with you. Take frequent breaks out of the roof space. Stay out of spaces where there are known health and safety hazards – e.g. asbestos dust, poorly installed electrical wires, or sewerage contamination. Get these sorted out first. Don’t go into spaces that are too small or hard to exit safely. Don’t fill required safety clearances, e.g. around downlights, over downlight transformers, or around flues or chimneys. Don’t tamper with the electrics – if you think you’ve damaged something or a wire comes loose, call a licensed electrician. 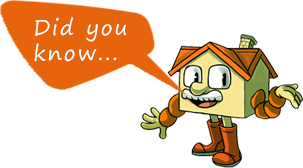 Check the price per square meter of insulation before you buy. You may be able to get a product with a higher R-value (higher performance) for less than one with a lower R-value.